To See “What to look at in the night sky in February” go to: https://forum.pembrokeshireu3a.org.uk/index.php?topic=3509.0 From the Forum you can go to the excellent Astronomy website Cosmic Pursuits. 3. 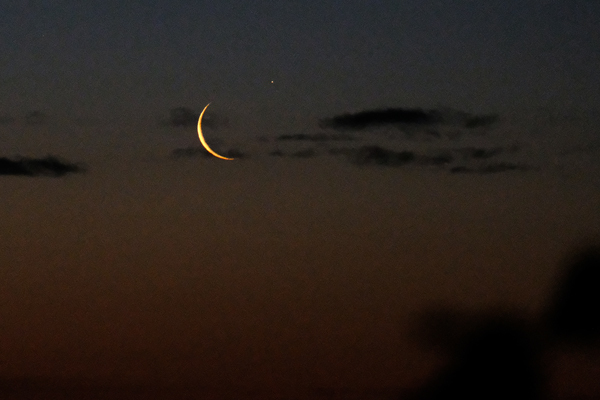 15th to 28th February search for Mercury After sunset! We looked at Saturn that was occluded by the moon with photos taken on Saturday (2nd Feb) morning just before sunrise. 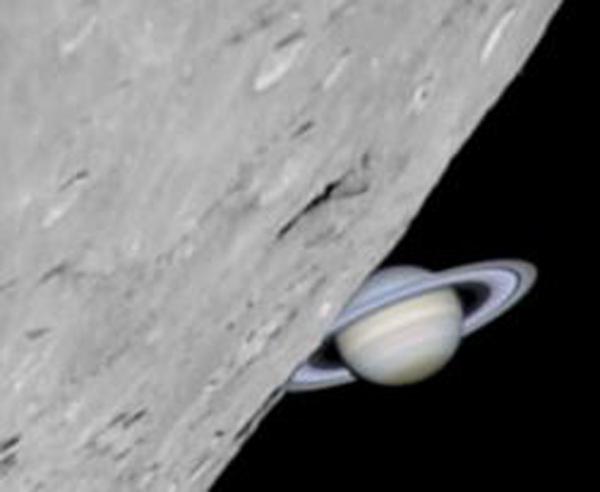 Saturn is the tiny dot on the upper right of the moon. John Baylis rounded of the meeting with a fascinating talk about more key theories and discoveries in cosmology. 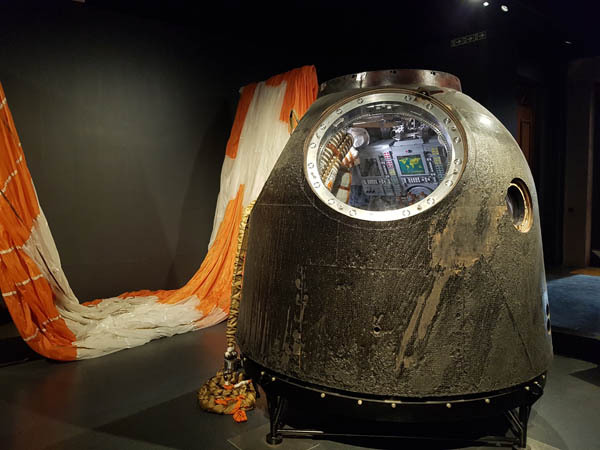 Visit the Spaceguard Centre outside Knighton and the Ironbridge Museums to see the Museum of the Moon that visits Ironbridge Gorge Museum, UK, between 21 October – 10 November. Day One: Share cars for the 2.5 to 3-hour drive from Pembrokeshire to Knighton to arrive in time for a 2.00pm tour of the centre. Then on to a hotel in the vicinity of Knighton/Ironbridge. Day Two: Drive on to Ironbridge from a day visiting the Museum of the Moon and other attractions and returning to the hotel.